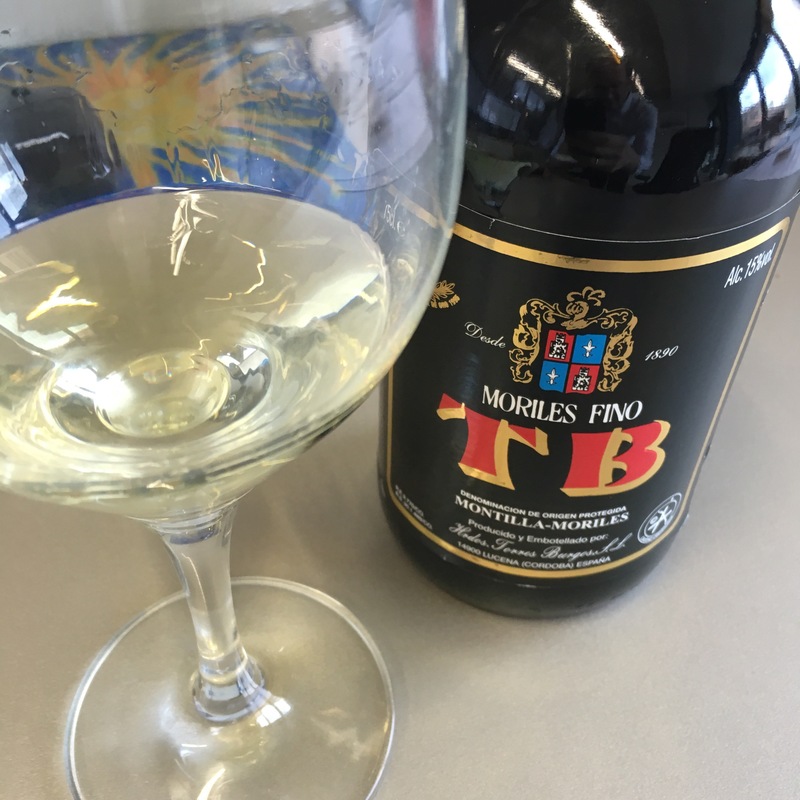 Montilla Moriles has some fantastic producers – Perez Barquero, Alvear and Toro Albala – and in addition to the top class sweet wines some of the dry wines can be really good too (like this Fino Capataz and this Amontillado Marques de Poley – among many others, as This blog will tell you). However more often than not I tend to find them a bit heavy in texture (like this Fino los Amigos) although that is not always a bad thing – I remember the texture working really well in an oloroso release by Equipo Navazos. This is definitely in the heavy going category – it was a gift and a nice surprise but even the giver told me they used it to cook with. The colour is very very pale and the nose is very pungent with ozone and nutty and yeasty aromas (I will say that for them – they tend to be good on the nose). Then on the palate it is a bit of a brute – the heavy texture, pronounced bitterness and alcohol – a bit disjointed.